Growing like thunderheads all summer long, the trees and plants of the woodlands thrive and cover every bit of the mountain until they finally begin to lose their momentum, and in the dark shadows of a forest which has gone through its adolescence and prime, one feels a touch of sadness. explaining how theoretical astrophysics and yoga practice (as well as classical Chinese philosophy) can, together, explain the working of all energy in the universe, from the quantum level to the big bang. But of all the quite different works at the exhibition, the most moving for me is the smallest: a hand-sewn volume that fits into a box about the size of two packs of cards. The book, a loving documentation of traditional Nepali papermaking processes, displays Ito’s affection for the ways of life of traditional rural peoples. “I made this,” he says to me, in his halting, gentle voice, “as a way to try to support their way of life at the time that industrially produced paper was coming into Nepal from factories in other parts of the world. 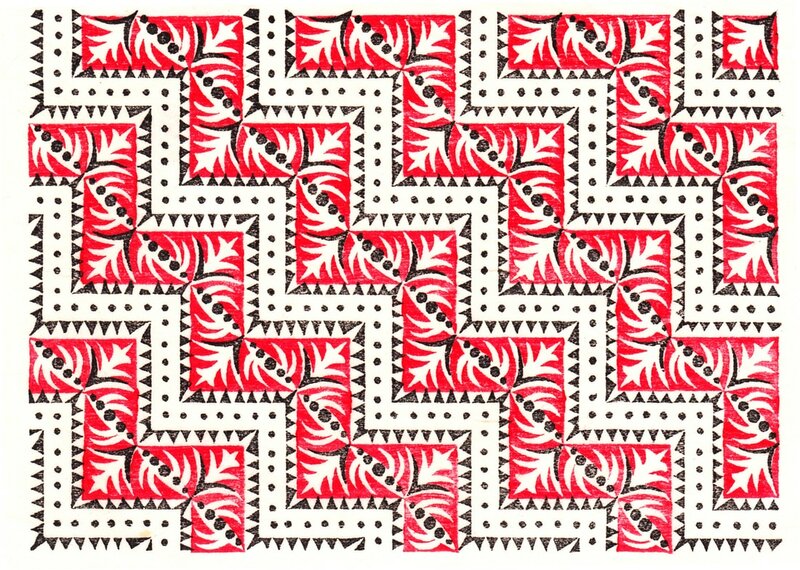 I had been doing research on handcrafts in the Himalayas in the 1970s, and I devised this project as a way to introduce Nepali methods to Japanese craftspeople, artists, and collectors.” By gathering funds from “subscribers” in Japan, Ito hired Nepali artisans to make the paper, carve the woodblocks, produce the prints page by page, and sew the pages together to produce a boxed edition of one hundred and eight copies. 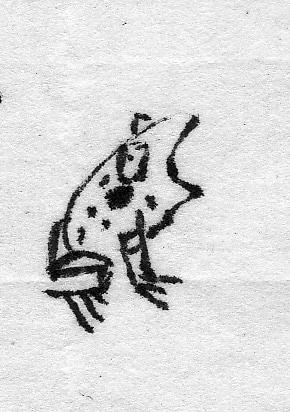 The paper itself is baby soft, and so pleasing to the touch that I feel myself relaxing just holding it in my hands. 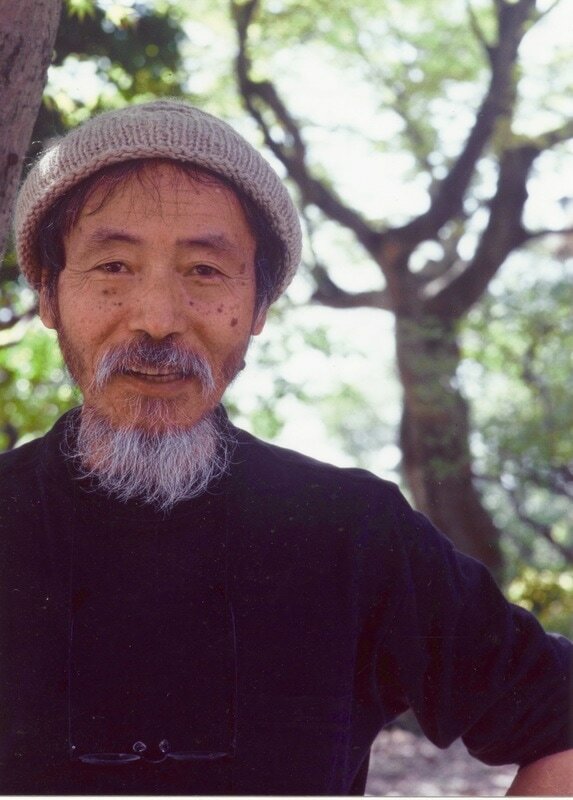 In the gentle images on each page, I find women walking mountain pathways with straw baskets on their backs, while the trees, the river, the yaks, the clouds, and even the rocks of the mountain themselves vibrate with Ito’s energetic line. Read the full excerpt, beautifully laid out by the artists of Kyoto Journal, in this downloadable and printable PDF here. 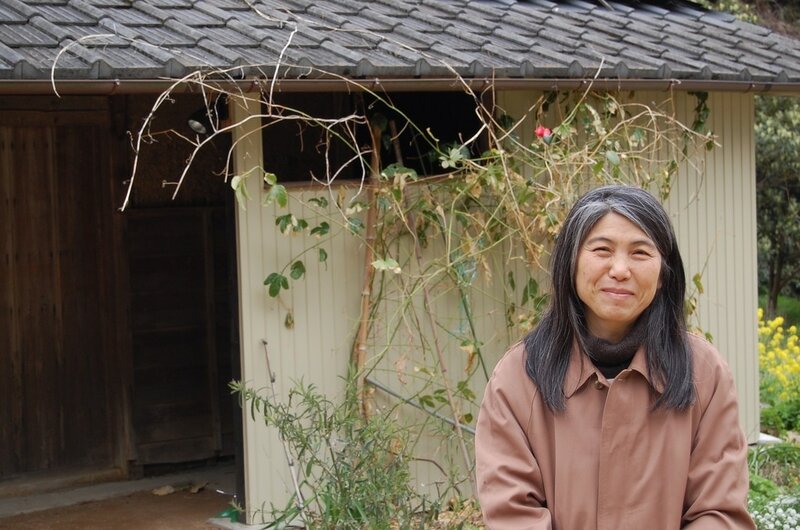 OIZUMI: I made Chernobyl and Fukushima into one object, made into something that looked like the Great Wall of China. I wanted to make something as a memorial, a remembrance of Fukushima. At first, the government said to people that they have to evacuate to 6 miles away from the plant, then they changed it to 12, and eventually to 18 miles. (For the US Army they didn't let their soldiers go inside of 48 mile line). There are farmers there where the 18 mile line goes right down the middle of their garden. The government tells them that on this side of the line, they can't grow and sell vegetables, but right over here, on the other side, it's just fine. Total irrationality. It's like some kind of manga (comic book). So I wanted to memorialize this absurdist line. I want to tell the people of the future that once there was this stupid line. I made it in front of my house since the line is completely irrational anyway. They could have put that line anywhere, and both sides are dangerous. I also I wanted to make something big, something that would last. So I made this 'objet d'art' here. It weighs 6 or 7 tons. It should last for a thousand years. It's made with a rammed earth technique, and buildings in China made like with rammed earth have lasted 1000 years. Inside of the wall, I put a time capsule, inside a tube. If people find it in a thousand years, they can see the names of all the famous people who said that nuclear power was just fine. All the academics and journalists and musicians and writers and actors, all of them. We're suing them in court, and I wanted all their names in there, so that the people of the future can know who they were. They had the Chernobyl accident and they still didn't see and understand how dangerous it was. They didn't stop using nuclear power. It's really just kind of incredible. Such a terrible thing happened, and they didn't stop. Twenty five years after Chernobyl, and Japan-and the rest of the world-just kept using nuclear power. After the Russian accident, Japan said, “We are smarter, we have more information, we are more careful, we have better technology, it will be safe.” That was all a lie. But maybe humans are just like that: they keep going all the way until there's a catastrophe. Like in World War Two, the Germans went to Poland, and even though that was bad, they kept going, on into Russia, and just kept going. The Japanese went to Korea and then Manchuria, and then Mongolia and Burma and on and on into New Guiney, and all the way to India. "You can't ever buy back that time." Atsuko is always making these kind of statements. But there’s strangely no anger or churning to her voice. She’s simply stating something she feels is obvious to anyone who wants to see. "A Big Sigh of Relief..."
Listening to Wakako now, it occurs to me that when people lose things very quickly, especially things they feel are beautiful, it can be bewildering. "It’s best to do it soon"
Sometimes, during the years of writing this book, I’ve found myself on a crowded train in Tokyo or Osaka, on my way to meet one of the people who live in the mountains, and I’ll look at the businessmen all around me, their suits and ties perfect, but exhaustion hanging over their faces, pallid and overdrawn like a bank account, and I wonder, if like Murata says, they also dream of moving out into the countryside, and living more simply. If so, have they made choices earlier on about family and house buying so that it’s much less easy to move? Or is Murata right, that it’s much more simple than that? They aren’t leaving their exhaustion filled lives because they simply don’t want to? This ideal of “retreating from the world,” I say to Murata, might come from ancient India, where the texts talk about it as something one does as the fourth and last stage of life. “But you wanted to do it sooner?” I ask. And he’s right: you could die tomorrow. In all our years of talking, this might be the message he wants me to understand the most. Think about it: 7 billion plus people on the planet. Each with a yearning to fulfill basic needs: food, shelter, heat, clean water. And then we have the indisputable fact that human beings keep wanting more. Every honest person sees this tendency in their own heart. I just heard about a man who was building a 100 million dollar house because he hates Larry Ellison, a fellow software billionaire, and so he wants to build a bigger house than him. It's easy to dismiss the rich as clearly insane in such examples. But the question remains, how do we each, individually train our minds and adjust our behavior so that we can be satisfied, even deeply satisfied, with less? Not a little bit less, because, you know, 7 billion people. A lot less. Even though it is the nature of the universe to change, the ‘change’ originated by human activity is too violent. Floods of cars and airplanes, the acceleration of transportation, mass movement of merchandise, the forced cultivation of vegetables in all seasons, excessive lighting and air conditioning, and limitless information: the change is much too intense. The human body and spirit cannot withstand this kind of acceleration. This is what I hate the most. That's what the people in this book can teach us, if we take the time to listen, listen deeply to their words. And perhaps the beauty of their lives can provide the much needed, incentive to actually make the changes we must if we have any chance of not loosing all the elephants, or living in a war-torn world. That's very very serious. So we really need to change. And lots of us, and soon. Sometimes Ito-san lets out just a little bit of his disappointment. “For the sake of money, and for the sake of ‘economic activity,’ people try to change things, products, works of art--everything--as quickly as possible. To win at competition, everyone tries to do this." ​Perhaps this is another way that Nakamura keeps his presence so calm: by reducing the number of plans he makes so that they fit easily into the time he has available, instead of trying to accelerate his life to accomplish a long list of projects. When I compare his absolutely simple, almost bare, existence to the sophisticated level of his thought, I admire his decisions about what to prioritize in life. For all the time he spends cutting and gathering firewood, growing food, carving woodblocks, cooking, or just gazing into the fire, it doesn’t seem that his intellectual life has suffered in the least. It is as though the mastery he has achieved as a craftsperson suffuses all the other spheres of his life. 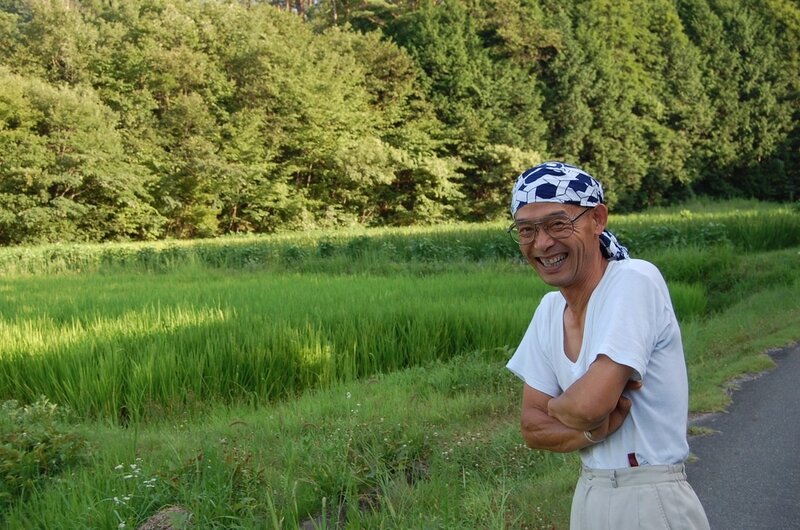 Andy Couturier spent 4 years studying sustainable living in rural Japan. There, he worked with local environmentalists and wrote for The Japan Times. 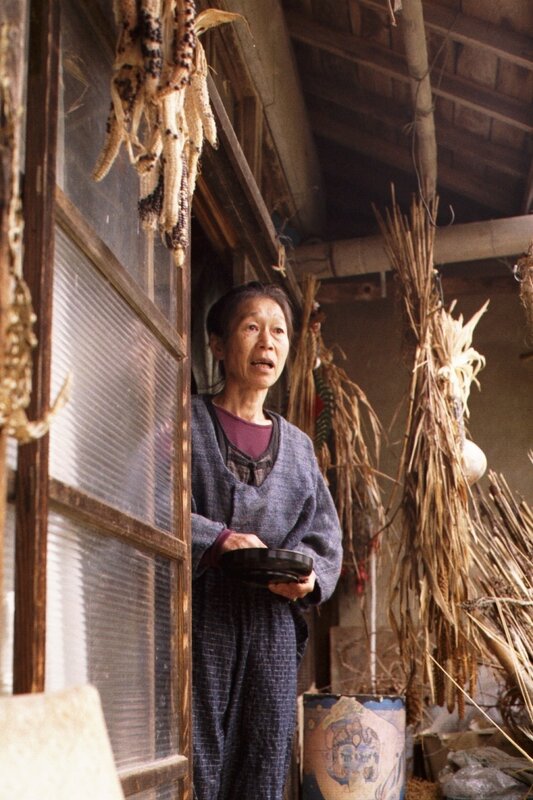 Couturier has also built his own house with hand tools, and has taught intuitive writing for more than two decades. He is a student of many different Asian philosophical systems and is fluent in Japanese. Have a question or comment for Andy? Drop him a line.